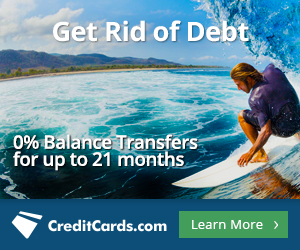 CardMatch is a service offered by CreditCards.com that promises to match you with better credit card offers. Not only can you save a lot of time with this service, you will find what types of offers ​are available to you based on your credit profile. And, CardMatch is also able to offer you better promotions and offers thanks to relationships it has with card issuers. To check out what offers are available to you, simply go to the CardMatch site and enter some basic information. And do not worry about using this service. It will not hurt your credit score because CardMatch only does a soft credit pull. The site is secure and employs 128-bit encryption. 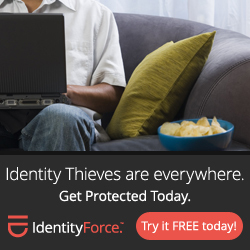 Your privacy will be respected - your personal information will not be sured. Now you can compare great credit card offers quickly and easily. One word of caution: Each issuer you apply with will do a hard credit pull. This means each actual application may slightly decrease your credit score. And, while approval is likely because your credit ​profile matches what the credit issuer is looking for, you were only pre-qualified, not pre-approved. It will be up to the card issuer to give you final approval. American Express Platinum Card: Opportunity to earn 100,000 bonus points with CardMatch instead of the standard 40,000 bonus points. Gold Delta SkyMiles Credit Card: Opportunity to earn 50,000 bonus miles, compared to the 30,000 points usually offered. American Express Premier Rewards Gold Card: CardMatch offered 50,000 bonus points, not the standard 25,000 points. Amex EveryDay Preferred Card: Opportunity to earn 30,000 bonus points via CardMatch instead of the 15,000 points in the standard offer. Blue Cash Preferred Card: CardMatch users could earn up to $250 bonus Reward Dollars in place of the standard $150 bonus offer. Do not let the sample offers we pulled fool you. CardMatch is not just about finding better offers for those with excellent credit. It is about finding better offers for everyone, regardless of their credit profile.